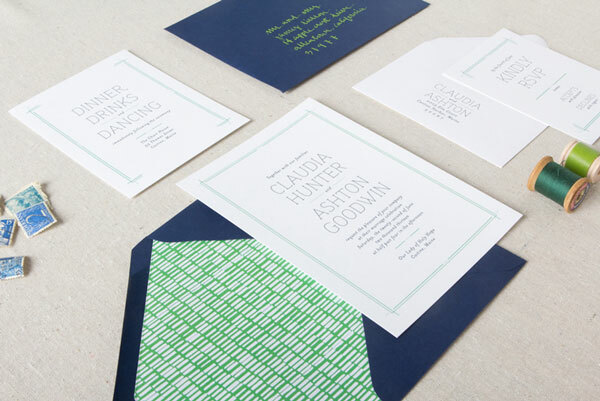 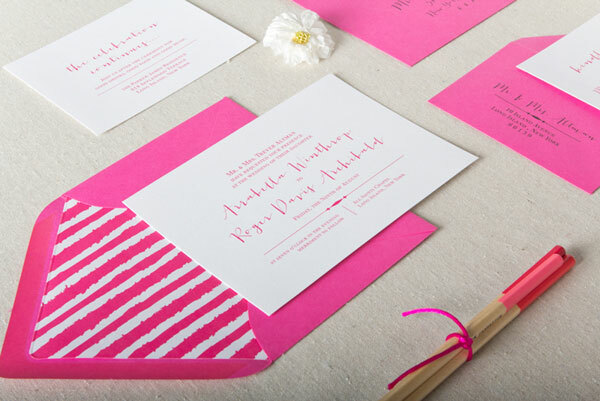 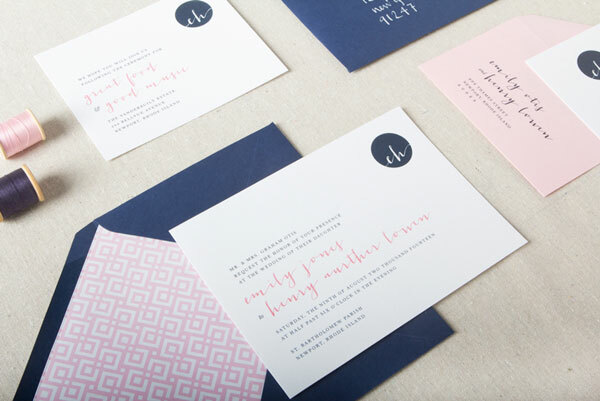 Boston area architect turned graphic designer, Chelsey Emery, recently released her new wedding invitation collection, which includes 20 suites designed in her classic elegance meets modern preppy style. 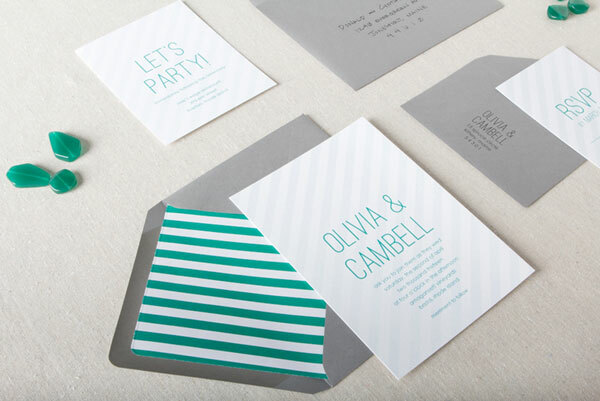 Each suite features a distinct blend of modern classic + whimsical typography, along with wonderful, eye-catching color and pattern (hello, lovely patterned envelope liners! 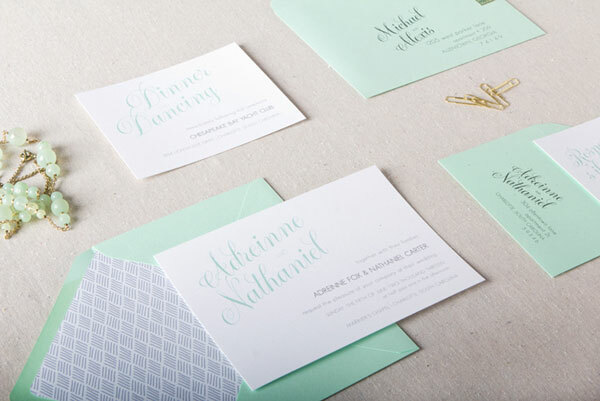 ), from the fiery, hot pink Clara Suite (above) to the soft, minty Olivia Suite (below). 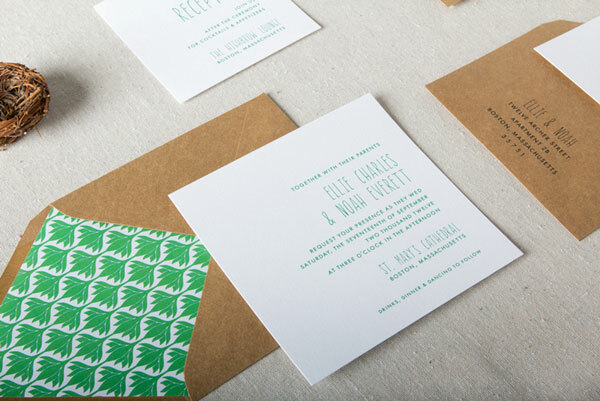 Letterpress printing and flat printing are available, and all invitations are printed on thick, 100% cotton paper, which gives the invitations a wonderfully luxurious feel. 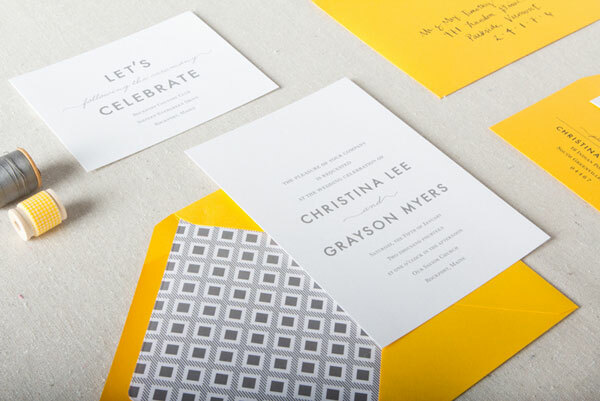 All color, pattern, and font modifications are included and welcomed, to make each invitation a perfect fit with a couple’s unique wedding celebration. 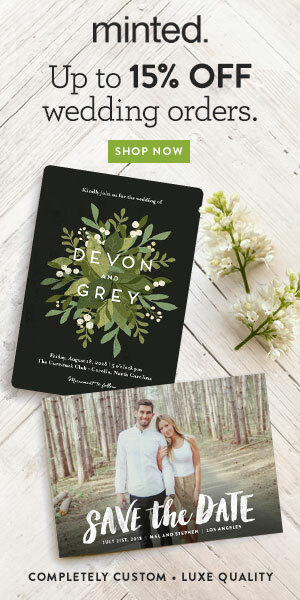 You can see all of Chelsey’s wedding invitation suites over in her shop.